Note: The Prop Den review is based on one person's opinion which can vary. The review is independent as a fan and avid collector. 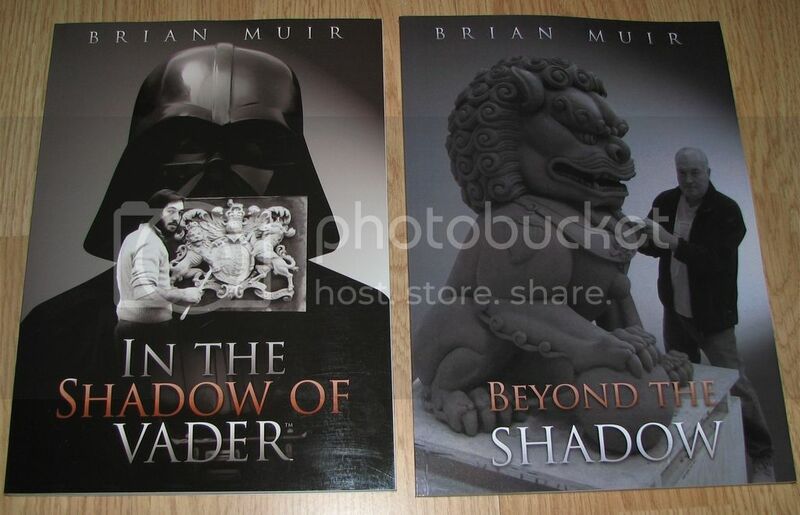 Since Brian Muir mentioned he would do a book giving an insight into to his work on A New Hope fans have eagerly waited for it's release date. This was a very welcomed addition receiving this Christmas Eve and as a couple of my friends were loosely involved (Pete for the display and Mac for the design) I was very anxious to read this. The book is fairly tall, and a sleek 92 pages. The book is available either directly from Brian here on the Prop Den, RPF and Amazon as far as I know, I am unsure about WHSmith or Waterstones. The first thing I noticed was at quick glance that the book was not as I had originally expected. This was an insight into Brian Muir’s work and while it covered the subject of Darth Vader amongst other Star Wars Interests I had mistakenly expected to see many pages about Vader based on what I had personally hoped for. Instead of reading the main points of interests I sat down and read the book in one sitting. The book drew me in and I found the way in which it was written was beneficial in relating to the Author’s journey. A simplicity about the content and design will make this book one to read more than once. I enjoyed reading about the different techniques used, what Brian’s opinion was on each situation along with his journey with his Wife Lindsay. The book expressed a more personal relationship with the reader and before you know it you’re at the end wanting more. Vader and Stormstrooper fans have been exposed to the level of information since 2007 thanks to Brian’s input on the Prop Den so while there was nothing drastically new it was still great to see the text all under one place. I think there was always hope in wanting a rare Vader image or two or more information about the subject but the author stuck to the facts and didn’t elaborate on personal opinion or speculation to bulk out the book or those chapter’s. You get to see the complete work of Brian Muir and the involvement in so many movies that cover many of people’s favorites, from Star Wars: A new Hope, Indiana Jones, James Bond and Harry Potter to name but a few along with some of their sequels. Vader and Trooper fans get to hear from the man directly. The Andrew Ainsworth Trial is another added bonus on the later pages and the book is littered with little images to give you a guide on most subjects the Author talks about. The Star Wars sections may be disappointing in terms of quantity but the quality is there. While fans, especially novices will both benefit from this new information and find themselves disappointed that Vader is only really present visually on the front cover give or take, the reader benefits from an immensely talented sculptor’s journey which is well written and easy to follow. This will be one book that many may find themselves reading again and would appeal to a variety of audiences. 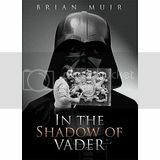 An amazing insight into the life and career of Brian Muir, who famously sculpted the iconic Darth Vader at the young age of 23. With over 40 years experience working on over 60 major films, Brian gives us a window into the mysterious world 'behind the scenes'. His life's work reveals his unseen talent that is ' In the Shadow of Vader'. Very interesting book. I very much enjoyed reading it. I thought it was done in a very personable manner, that gave me more of a sence he was sitting down and telling you about his career and his life rather than just giving you cold facts. I liked it great deal. Great review Paul. This is a fantastic book, with a much wider scope than just Vader as Paul mentions above. Very enjoyable read. Very nice review. I love this book as well. I was surprised that it had all this info about other movies than Star Wars he'd worked on and that I kept reading and getting excited knowing that he'd worked on so much and that his work is always top notch and there was several instances where I was surprised to realize he'd worked on film I liked that I didn't know he'd worked on. All in all an awesome book. I really need to buy the sequel as well.